Here's a fun fractal I just generated that will not be as easy as last weeks. It reminds me of a partial snow flake or one that is half melted. Remember your goal is to determine the fractal's IFS. Good luck! Instead of making this a sudoku constest, can anyone incorporate the real bond angle of the water molecule(104.45 degrees) into fractal theory ? 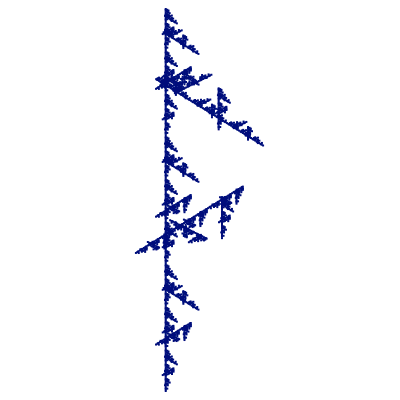 If then, such a thing were possible, would the resulting "fractal" meet the criterion for affinity?